Update April 23, 2017, at 2:32 p.m. Mr. Dewey Simmons, was located at 2200 Bryan Street at 1:25 pm and is ok. We would like to thank everyone for the assistance. The Dallas Police Department is asking for the public’s assistance in locating Critical Missing Person Dewey Lee Simmons. On April 22, 2017, at about 2:20 p.m., Dewey Lee Simmons was last seen walking eastbound in the 5000 block of Mexicana Road wearing a black short sleeve shirt with “2010” in white letters on the back, with black pants and black shoes. He was also carrying an Aldi’s grocery bag. 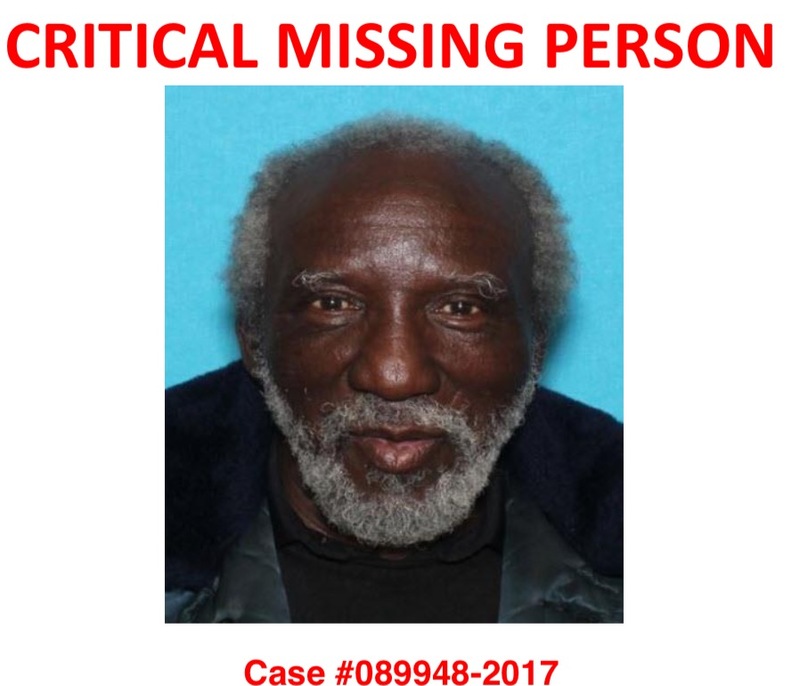 Mr. Simmons is a Black Male 75 years old, 5’00” tall, weighs 160 pounds, with gray hair and a gray beard. Mr. Simmons has been diagnosed with Dementia. If you see Mr. Simmons please contact 911 or the Youth/ Missing Persons Unit at 214-671-4268.